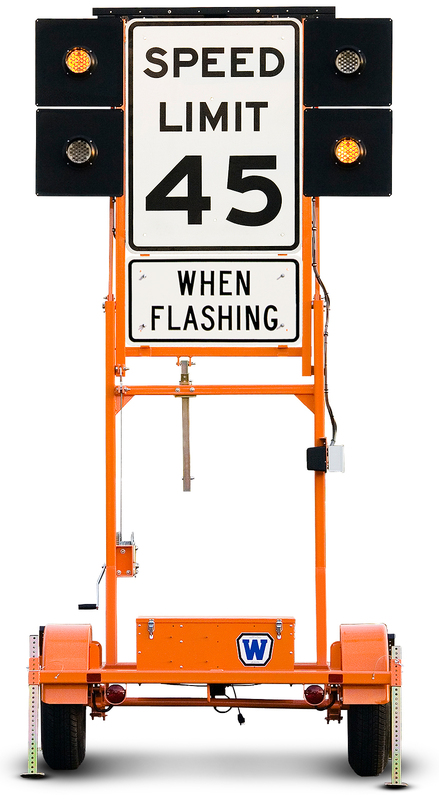 Tall Sign Trailer - Wanco Inc.
Wanco’s Tall Fold-n-Go Sign Trailer provides a platform for temporarily displaying regulatory signs, alerting motorists of a work zone or other hazard. 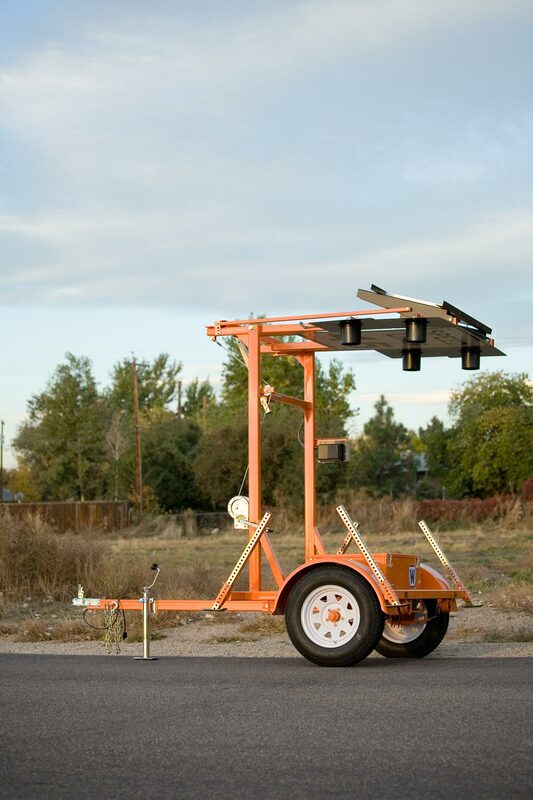 More than two feet taller than our Standard model, this surprisingly compact trailer is easy to tow and maneuver, can be positioned quickly and deploys in minutes. 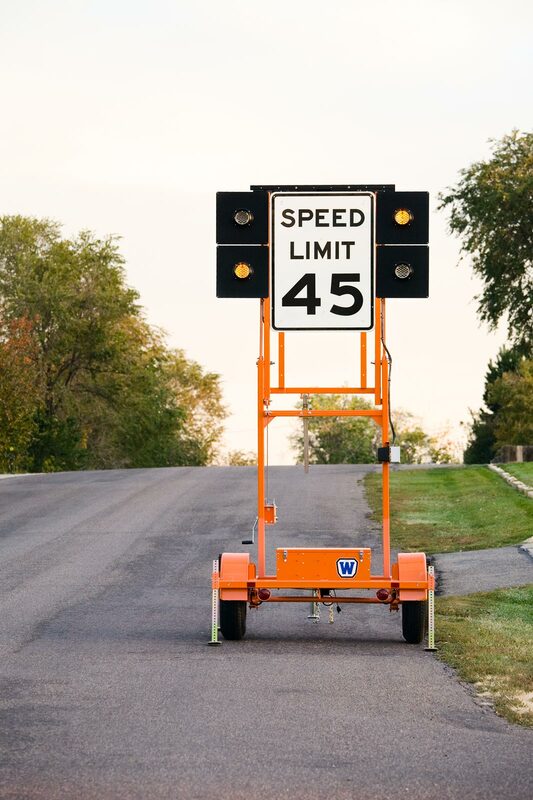 The Tall Fold-n-Go Sign Trailer stands nearly 13 feet when deployed, and accepts two regulatory signs 36 inches wide. The top sign, typically a speed limit sign, is 36 × 48 inches while the bottom sign is 36 × 18 inches. Flashing LED beacons are extra bright to draw attention to the signs, with two programmed flash patterns. Strobe lights are optional. Onboard power for the beacons comes from batteries, which are recharged automatically by an integrated solar-based charging system for more uptime without intervention.